Introducing the official Iphone app for Gulf Coast Assembly of God in North Port, Florida. View Sunday morning services, watch live streams, visit Pastor Keith's blog, and connect through our website! 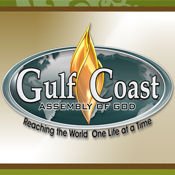 A great way to stay up on all the great things that are happening at Gulf Coast Assembly of God in North Port, Florida.